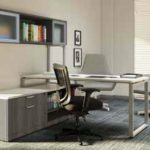 Golden State Office Furniture works with you to find furniture the suits your unique needs for space and functionality. You can choose from our vast selection of wooden, metal and laminate office desks to find the arrangement that meets your needs and budget. 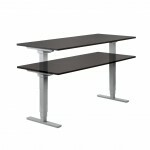 We can also offer you a reception desk that will accent your reception area nicely. Each well-crafted, cost-effective office desk from Golden State works comfortably so that you don’t have to sacrifice comfort for style.